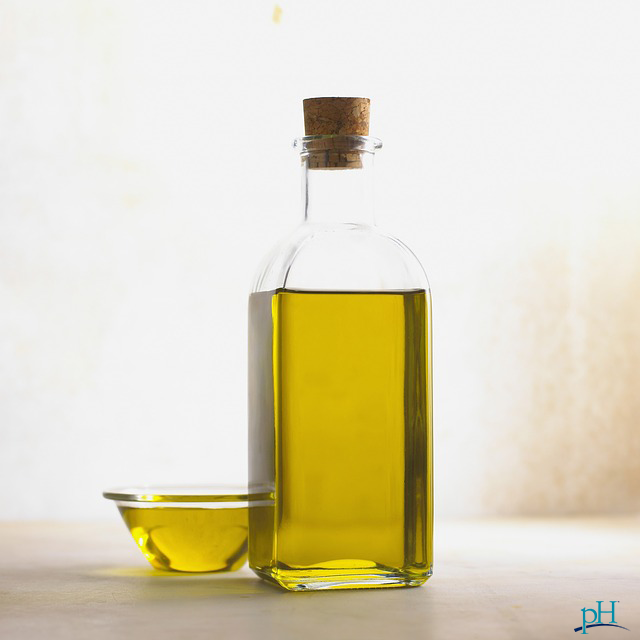 What is oleic acid and how much do you need? Most people are familiar with the omega-3 and omega-6 fatty acids, but what is oleic acid, and why is it important? Oleic acid is a naturally occurring, odorless, colorless oil. Oleic acid is found in flaxseed oil, borage (a Mediterranean herb) oil, evening primrose oil, olive oil (less in virgin olive oil), pecan oil, canola oil, peanut oil, macadamia oil, sunflower oil, grape seed oil, sea buckthorn oil and sesame oil. You can also find it in animal fat. Oleic acid at appropriate levels has been implicated in cancer prevention in some (but not all studies), and reduces cholesterol levels. However, this does not mean that everyone should deliberately consume excessive olive oil. Scientists have found that oleic acid in excess blocks the body from using linoleic acid, another important fatty acid. This is a great example of too much of a good thing! Another major issue is that too much oleic acid can cause lipid accumulation in the liver — or fatty liver. In fact, scientists use oleic acid to create fatty liver simulations in the lab, then test antioxidants with the cells to see which ones can reverse the disease. How much oleic acid do you need? According to the Mayo Clinic, these are recommended ranges for the amount of oleic acid in your blood sample. Amounts are in nanomoles per milliter, a unit of measurement in chemistry and lab science. Translated into consumption per day, 1-2 tablespoons of these oils is usually enough. Remember that you get them in whole nuts as well as in bottled oils. If you have fatty liver disease, checking your fatty acid balance might be a good plan of action. And remember, test don’t guess! Know what nutrition your body needs and make a plan of action so you can enjoy your healthy life!